As a reward for the sacrifices made during the First World War the British government in 1918 announced that it intended to raise the school leaving age from fourteen to fifteen. However, this measure was constantly being postponed. Eventually the government promised that the new system would begin in September 1939. The outbreak of the Second World War meant that this educational reform was once more postponed. At the sametime government also made plans for the evacuation of all children from Britain's large cities. Sir John Anderson, who was placed in charge of the scheme, decided to divide the country into three areas: evacuation (people living in urban districts where heavy bombing raids could be expected); neutral (areas that would neither send nor take evacuees) and reception (rural areas where evacuees would be sent). As all the children and their teachers living in urban districts were expected to move to the rural areas, most schools in the towns were closed down. Of these, around two-thirds were requisitioned by the government and were handed over to the Civil Defence Services. However, only around 50 per cent of the children living in the towns became evacuees. This meant that around a million children were now without schools. There were soon reports of increased acts of hooliganism. Public air raid shelters were often the target of their attacks and in many areas the authorities were forced to keep them locked. As well as losing their education, children from poor families lost their free milk and school dinners. Medical inspections in schools also came to an end and as a result there was a dramatic increase in the number of children suffering from scabies and headlice. Schools in rural areas remained open but they often had to share their facilities with the evacuees. This meant the introduction of the double shift system. This involved local children using the classrooms in the morning while the evacuees would attend school in the afternoon. Where possible local authorities attempted to provide a full-time education by finding alternative buildings to accommodate the evacuated children and teachers. This included the use of churches, village halls and warehouses as classrooms. Berwick Sayers later wrote: "for weeks in some cases, teachers and children assembled at some agreed point and walked the country lanes until they could be housed in some suitable hall." The government eventually accepted that evacuation had caused serious problems for education. In November 1939 Neville Chamberlain announced that some schools in industrial cities would be reopened in order to provide an education for those children who had not become evacuees. As the war progressed young male teachers were conscripted into the armed forces. This led to a shortage of teachers and an inevitable increase in class sizes. The universities were open throughout the Second World War. The numbers of tutors and students were dramatically reduced because of war work. In the early part of the war the conscription of young men to join the armed forces saw an increase in the number of women at university. However, the passing of the National Service Act on 18th December 1941 changed the situation. This legislation called up unmarried women aged between twenty and thirty. Eighteen East London elementary schools were reopened on Monday, December 15th. The recent house-to-house canvassing undertaken to encourage evacuation revealed that there were 2,680 children of school age still in Stepney and Whitechapel, and 2,800 in Poplar and Bow.... The decision to open the schools having been taken, it was necessary to find schools still in a habitable state... But several schools have been completely destroyed, and others badly damaged, while a number are still occupied by civil defence units. Hardly a school had escaped unscathed, and those that could be reopened after minor repairs had to have suitable shelters... A small percentage of children have been completely without schooling for 12 months, but the majority only since the beginning of September; all have settled down well and seem glad to be back. 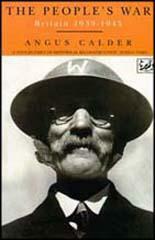 (2) Berwick Sayers published a book about life during the Second World War in 1956. For weeks in some cases, teachers and children assembled at some agreed point and walked the country lanes until they could be housed in some suitable hall. And what a variety of buildings was used! A Salvation Army citadel; a Church of England hall; a hall behind a public house; two St John Ambulance halls and several derelict schools and village halls were taken. A family mansion with minstrel gallery above the baronial hall was one of our schools for a time. The Board of Education... point out that parents are finding difficulty in meeting their children's needs out of the coupon limits allowed and authorities and governing bodies are asked to take immediate steps to see that regulations requiring distinctive clothing (uniforms) to be worn are rescinded, and that reasonable discretion is allowed to parents in the matter of providing clothes for children at schools of all types. There was a record attendance at a meeting of the East Grinstead Literary and Scientific Institute on the 2nd January. Mr. Wray, headmaster of Ashurst Wood Council School, gave a talk on juvenile delinquency. Mr. Wray expressed the opinion that the war had resulted in an increase of juvenile delinquency throughout Sussex. Mr. Wray told the meeting that: "Records show a big increase in the number of children prosecuted and a surprising increase in the number of young people who went unpunished. People in East Grinstead know the amount of undetected crime by vandals and juvenile delinquents. Housebreaking, shopbreaking and all forms of stealing showed a disturbing increase." "There were many explanations for the growth of juvenile delinquency such as poverty, bad housing, absence of facilities for recreation, insufficient clubs, greater temptations which beset the modern child, decay in the standards of conduct and of parental control, a weakening of religious influence, a lack of opportunity for amusement, new housing estates and the cinema." "Many cases brought before the Juvenile Courts arrive from broken homes. A lack of discipline in such homes was responsible for many of these crimes. The desire for adventure and war stories of deeds at sea, the field, and in the air, led to stealing and destructive behaviour. Gangster films and the 'tough' gangster idea also had their influence." "The effect of the decline of religious training is another concern. Sunday School attendance has declined in the last twenty years and this was a factor in the growth of juvenile delinquency." Mr. Wray, who favoured birching, said: "A lack of discipline applied to boys owing to the father's absence in the forces was another factor." Miss Monica Perkins, a probation officer, said that juvenile delinquency had increased since the start of the war and from her experience there were three causes - evacuation, insecurity and broken homes. Miss Perkins said that she believed mentally deficient people should be prevented from having children. Mr. G. Moon claimed that children were petted and spoilt beyond all reason by their parents. As a result, the children grow up to expect everything they wanted. That was not real love for a child. In the morning, I would walk along Clarkehouse Road with my eyes glued to the pavement for shrapnel. It became the fashion to make a collection of this, and there were few days when I came home without a pocketful of jagged, rusting bits, like the unintelligible pieces from a scattered jigsaw of pain and violence. Of course we didn't see them as this at the time. They were simply free toys from the sky, as available and interesting as the horse chestnuts in the Botanical Gardens, or the nippled acorns in Melbourne Avenue. It must have been about this time that the British Restaurants were opening, with their austerity jam roll and meat balls; and our own meals were beginning to rely rather more on rissoles and home-made apple sponge. But my mother was always a good manager, and I have no sense of any sudden period of shortage or of going hungry. Sweets were the great loss. There was no longer an everlasting, teeth-spoiling fountain of sherbet and liquorice, or of Boy Blue cream whirls, or of Cadbury's Caramello. Sweets were hard to come by, and then limited to a fixed ration. One of the worst casualties was chocolate. The traditional division into milk and plain disappeared, and an awful intervening variety known as Ration Chocolate was born, issued in semi-transparent grease-proof wrappers, and about as appetizing as cardboard. In spite of a lifelong sweet tooth, I could never eat it. Bristol was bombed while we were there: we used to go down to the cellars of our Hall of Residence. We wore trousers over our pyjamas during night raids (but never in daytime or in the street - trousers were not thought respectable for girl students at that time). One night in my first term King's College Arts library, which was occupying the Great Hall of Bristol University, was set on fire by incendiaries and completely destroyed. Soon after that we were sent home, for an extended Christmas vacation. There was nowhere for us to work without the library space. Later, students were on a rota for firewatching. We usually did one night a week, on duty for two hours at a stretch, two of us together, working as part of a team. Those off duty slept in camp beds. The most exciting place to watch was the room at the top of the tower of the University building. You could see the whole of Bristol. The fall in the undergraduate population (in Bristol) from over 1,000 two years ago to under 800 at present - a figure which dwindles as men are called up - would not be apparent to an uninstructed observer, for the University buildings have never before been so full, owing chiefly to the migration into them of ... King's College, London... It cannot be said that the conditions of work have been comfortable or easy for either visitors or hosts, and since the buildings were damaged by enemy air raids which destroyed the Great Hall with the part of King's College Library housed in it, the strain upon accommodation has been very severe.